Pileup of cars in Shasta, Ca. 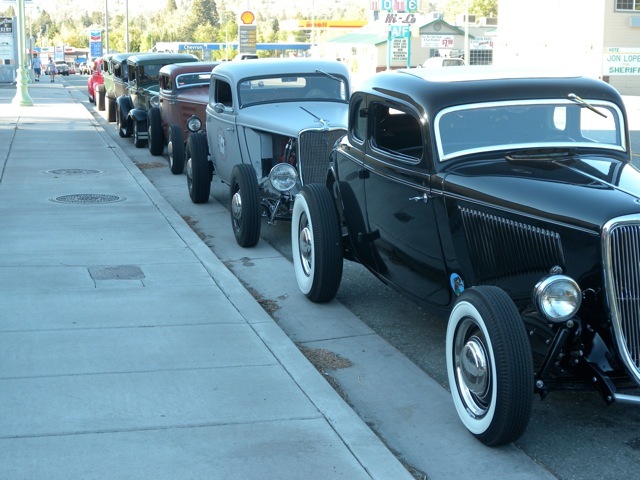 on typical trip to the Hot Rod Reunion. Bob Lindsay, Jack Cox, My 33, Ron Austin, Larry Schoen. Paul Harris, and Mike Layman.